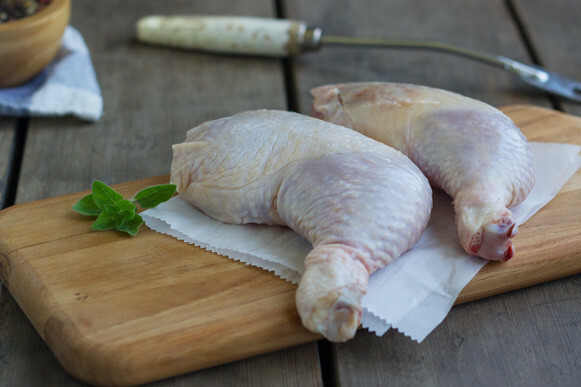 Our bone-in chicken legs consist of both the drumstick and thigh. This is juicy dark-meat that is economical, flavorful, and hard to overcook. Because the legs work harder than any other part of the chicken, the meat is firmer and needs longer than a breast to cook. But if you roast them, then finish them under the grill or on the barbecue, you’ll have tender, juicy meat and wonderful crispy skin.